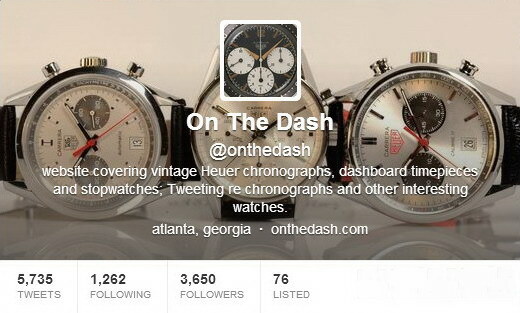 2013 was a fantastic year for the community that collects vintage Heuer chronographs. 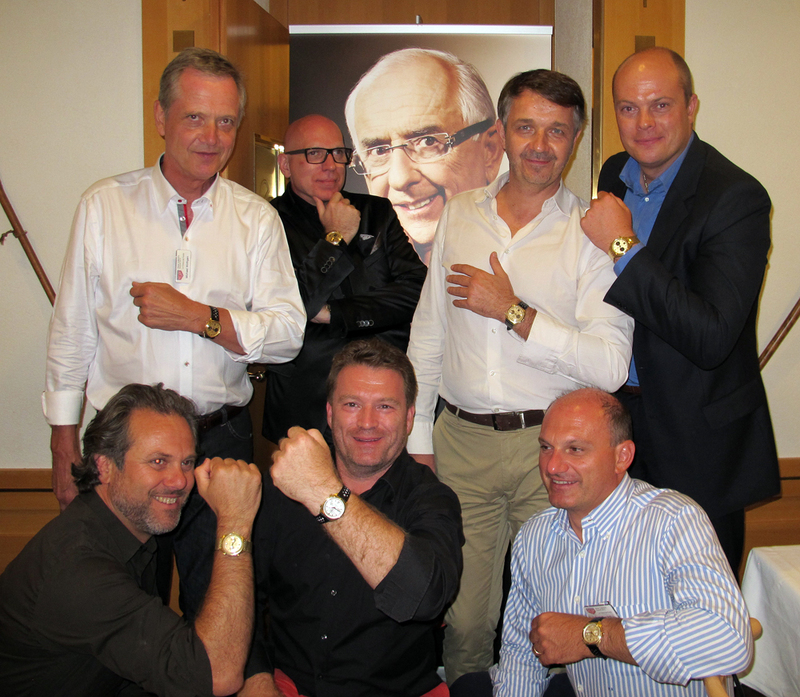 The community had 30 members participate in a Summit in La Chaux-de-Fonds, TAG Heuer celebrated “50 Years of the Carrera”, we saw new books and websites dedicated to the vintage Heuers, and activity on our discussion forums reached an all-time high. In this posting, I will focus on some events from 2013 that were especially memorable for me. Several other members of our community have posted messages on our discussion forum with their own highlights from the year, including “Best of 2013” postings from Noodia, Mark Moss, Paul Gavin, Raticosa and Amer Sibai. (There are several more Best of 2013 postings; these five links will get you into the neighborhood. )Let me apologize in advance for any inadvertent failure to mention other members of our community who made contributions during 2013. It was a busy year, and doing a quick recap is difficult. I have expressed this thought so many times, but perhaps every “State of the Community” or “Best of” posting should begin with something that we may take for granted – we have an amazing community of collectors. 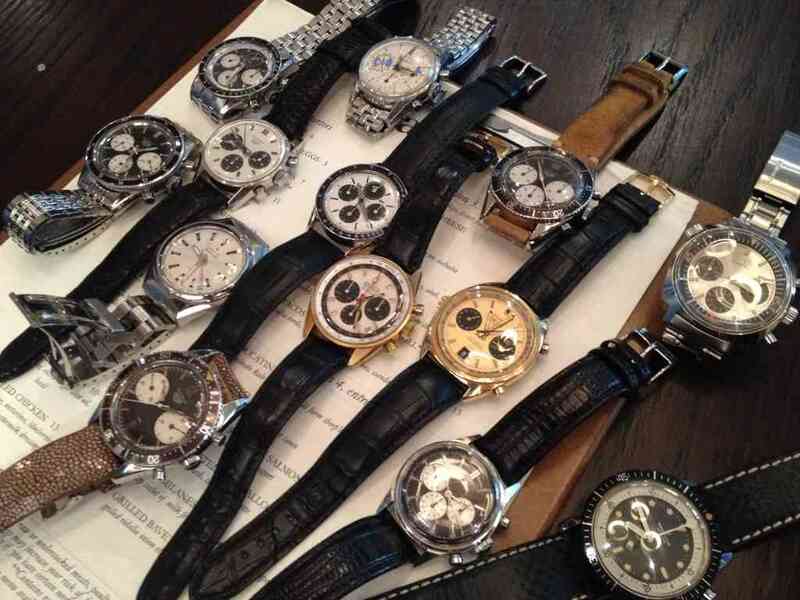 Our members have different focuses for their collections (Carrera, Autavia, dive watches, stopwatches, etc.) and a variety of interests and skills (watch repair, photography and writing), and we communicate in several languages (including Google translations), but it all comes together to create an amazing community. The information, images and events that were created and shared in 2013 were mind-boggling. Whether through Jack Heuer’s recollections, decoding serial numbers, or finding a stash of old catalogs, our collective knowledge advanced significantly during 2013. 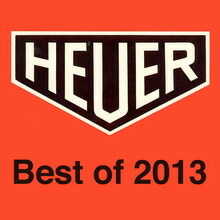 Beyond the information and images, the spirit and energy of this community was strong throughout 2013, with interest in the vintage Heuers and engagement in this community reaching all-time highs. 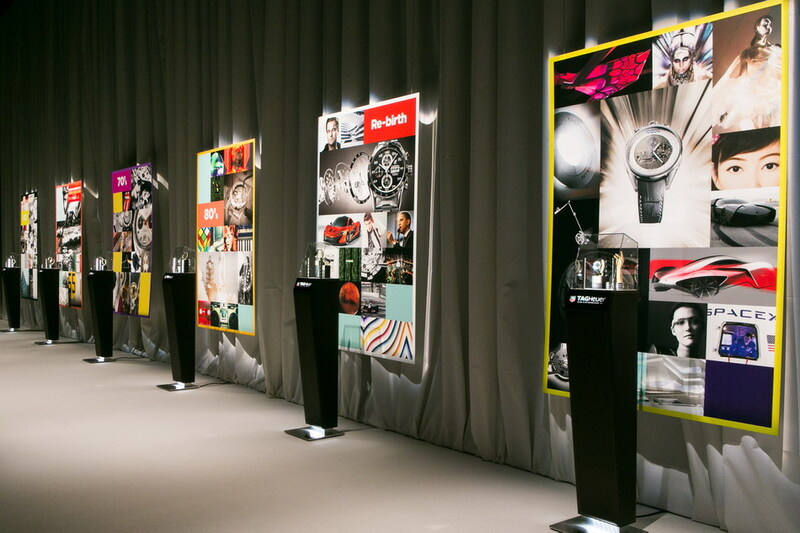 All this was manifest at the Collectors Summit, held at TAG Heuer headquarters in La Chaux-de-Fonds, in early September. 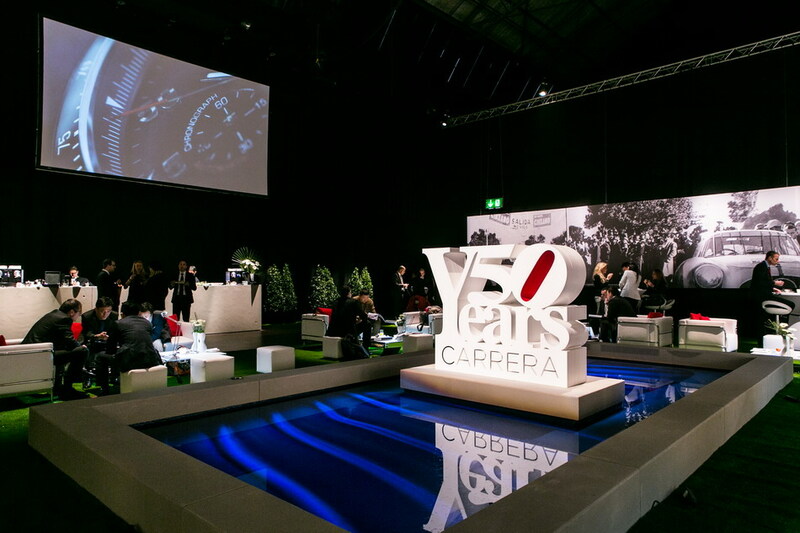 In January 2013, I traveled to Geneva, for the celebration of “50 Years of the Carrera” and then to La Chaux-de-Fonds, to visit TAG Heuer headquarters. As expected, the Carrera exhibition was fantastic, with displays of historic Carrera chronographs, as well as motorsports and popular images from each of the Carrera’s five decades. The Carrera was put into the context of post-War modernism and the “pop” style of the 1960s. 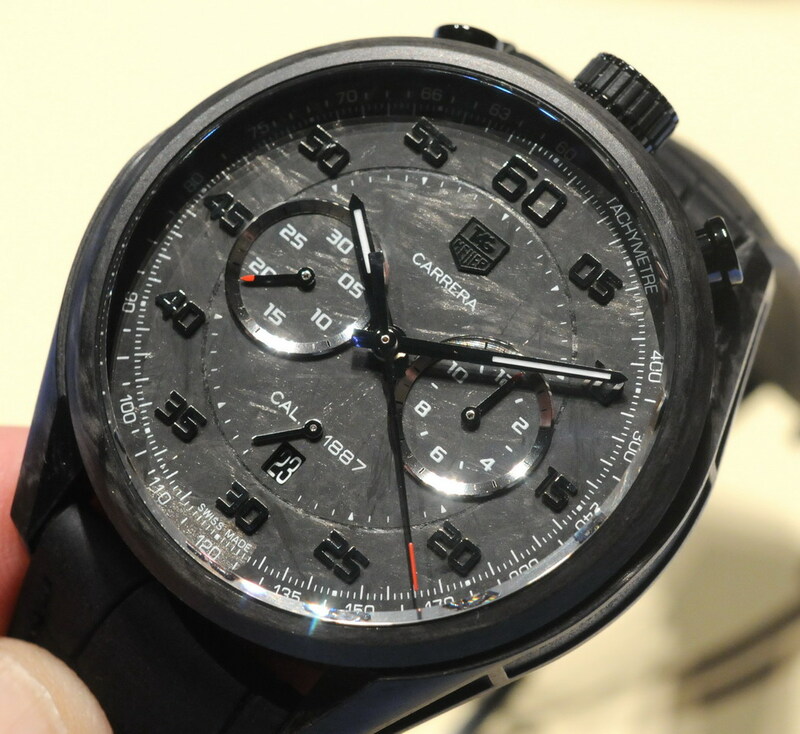 TAG Heuer used the 50th Anniversary celebration as the occasion to introduce several new models, including some excellent Carreras. 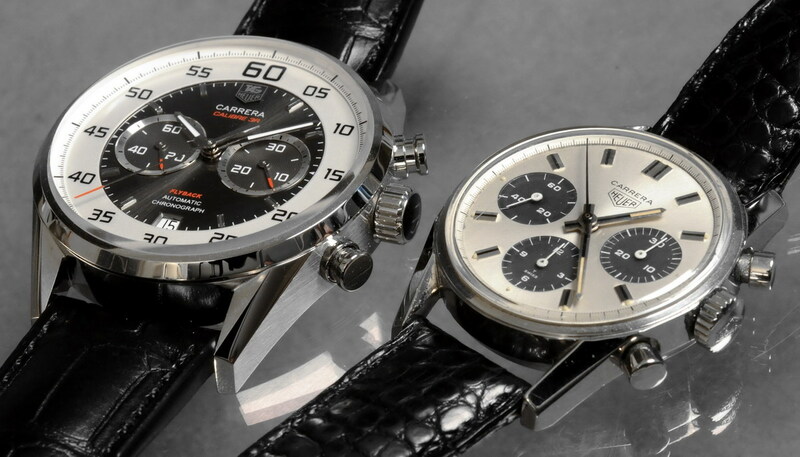 The two Carreras that caught my eye were the Carbon Concept chronograph and the Jack Heuer 50th Anniversary model. A few weeks before my visit to Geneva, I had chatted with Jack Heuer about his role in designing the 50th Anniversary model, and the minute I saw this Carrera in the metal, I knew that I had to have one of these. This wish was fulfilled, when I received one of the first ones produced, in September, as a birthday gift from TAG Heuer. But the true highlight of the trip to Switzerland was meeting some of my “pen pals”, friends who I have been exchanging messages with for a long time, but never actually met. In the course a couple of hours, I met Mark Moss at the Kempinski Hotel, and then met Marie Ansel, Frederic Layani and Jerome Simone at the Carrera exhibition. 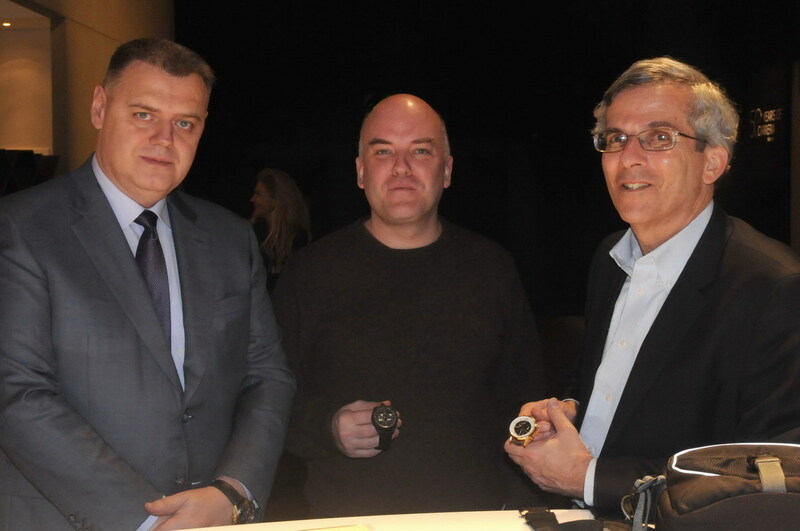 It was also great to chat with Jean-Christophe Babin (then CEO of TAG Heuer) and Guy Sémon (Vice President of Science and Engineering at TAG Heuer). We had a wonderful dinner in Geneva, with other bloggers and TAG Heuer friends, and then Jerome, Marie and I headed up into the mountains, to La Chaux-de-Fonds, during a beautiful snowfall. I visited TAG Heuer headquarters, where Jerome and Marie gave me great access to the company’s archives and Museum. We also toured the facilities where the Caliber 1887 and Haute Horlogere watches are being produced. Marie, Jerome and I had a memorable adventure in the Museum, which remains subject to a strict embargo . . . remind me in 2023, and I will share the details!! In June 2013, I had a great visit to TAG Heuer USA headquarters, in Springfield, New Jersey. It was fun catching up with some old friends there, meeting a couple of new “Pen Pals” and chatting about TAG Heuer’s new lines of chronographs. Thanks to all the folks in Springfield, and in Switzerland, for the fantastic support during 2013!! Best Discussion Topic – What If You Could Keep Only Three Watches? 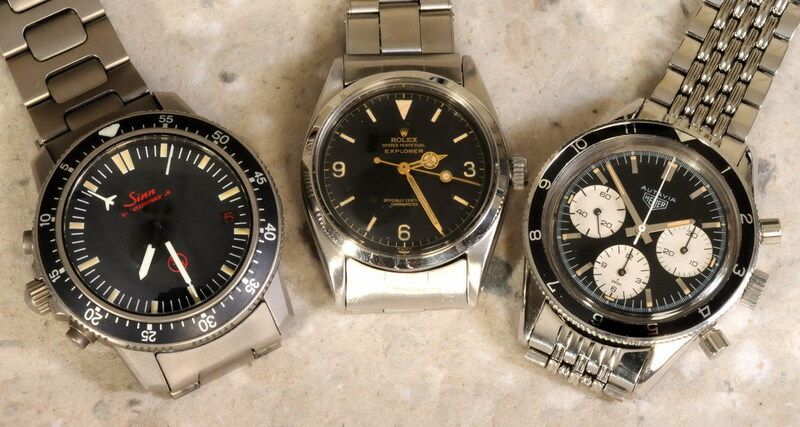 In November 2013, we had a scan weekend on our discussion forum, with the question, “Which three watches would you keep, if you could only have three watches for the rest of your life?” Here is the posting that presents this question to our readers. The responses – from around 30 our readers — were thought-provoking and we also saw some beautiful images. 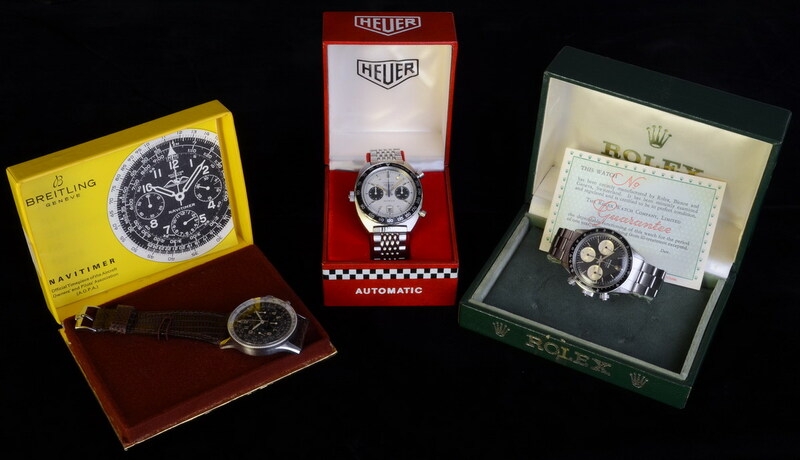 Here are a couple of images from Abel and Shaun, showing some “all Heuer” collections. Paolo took a different approach, deciding to keep a Chronomatic Autavia (of the “Siffert” variety), as well as a Breitling Navitimer and a Rolex Daytona. 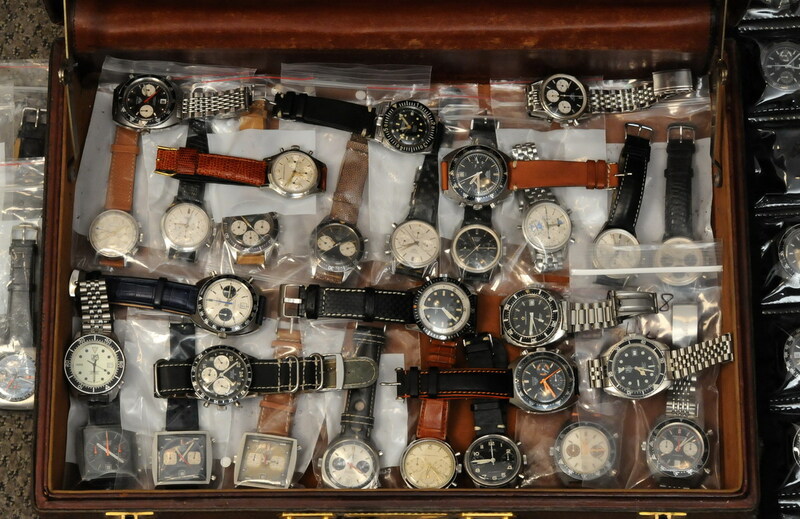 I will admit to some surprise at my own selections (shown below) — a Rolex Explorer, a Heuer Autavia and a Sinn EZM-1. Here is my posting, if you might want to see the explanation. I am in the process of converting all the “Three Keeper” discussion forum postings into one blog posting, which will allow readers to enjoy these thoughts and images. Perhaps this “Three Keepers” discussion will become an annual event for our community, and we will see whether preferences change over the years. 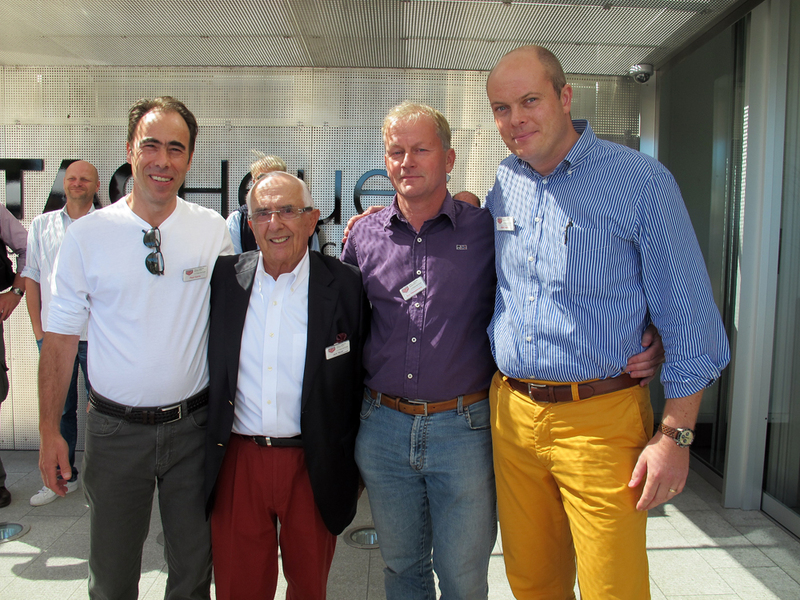 Paul Gavin, Ron Henselmans and Abel Court collaborated for a fantastic report covering the Heuer Collectors Summit. In this posting, we met most of the participants in the Summit, and also saw some groups of watches that we can never expect to see gathered again. Other reports on the Summit included this posting by Laurent on the French forum Montres Mechaniques, and this blog posting from OnTheDash, which includes a report from Paul, Ron and Abel, and also one from from Mark Moss. 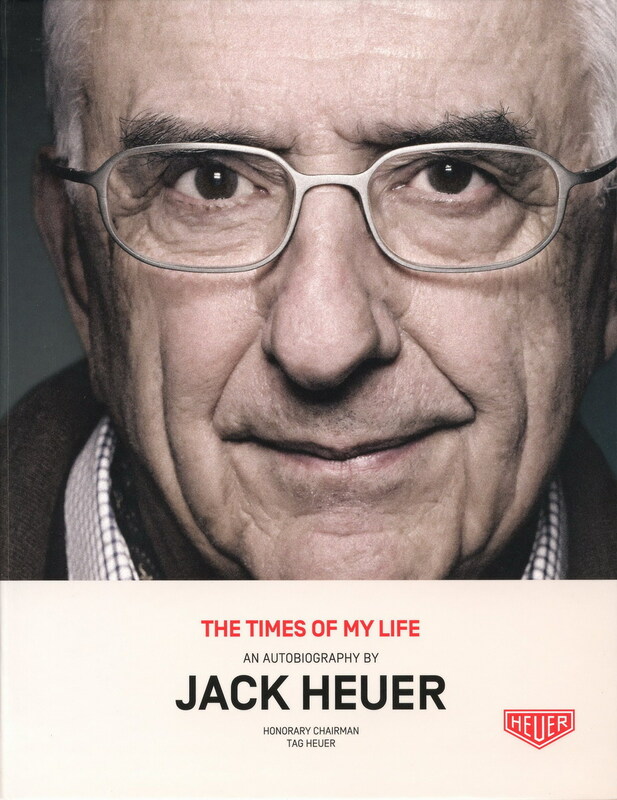 I have not made my way through every page and word, but a quick skim of Jack Heuer’s autobiography, “The Times of My LIfe” suggests that this is a fantastic book. Over the years, Jack Heuer has been the subject of so many interviews and he has provided so much original information to members of our community, but there are still new stories and recollections in this volume. 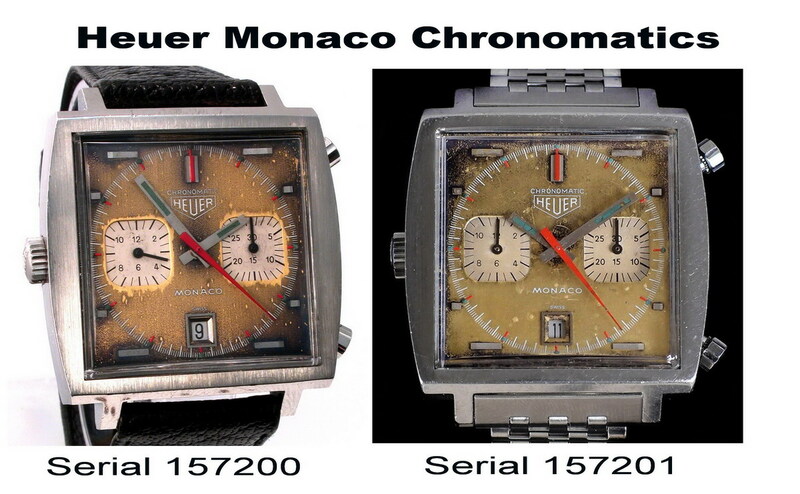 Of course, we see the color and passion that only Jack Heuer can bring to this subject. 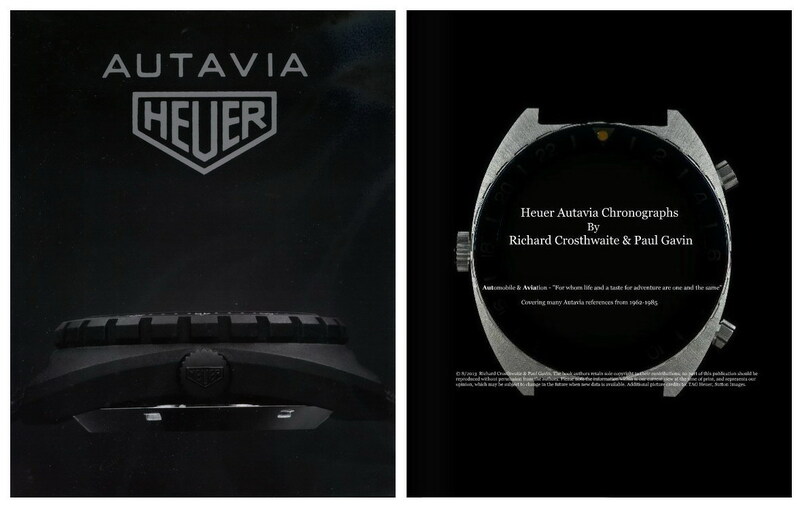 The other literary highlight of the year was the volume “Heuer Autavia Chronographs”, with words by Richard Crosthwaite and photographs by Paul Gavin. 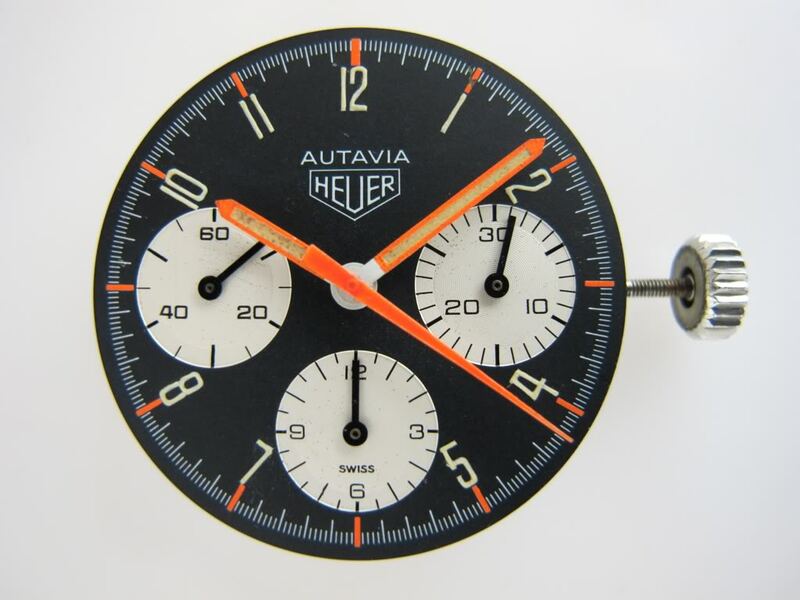 Rather than attempting to catalog all the models and executions of the Autavia, Rich and Paul highlight some of the more interesting models, and also provide sections covering the racers who wore the Autavias, the movements, the bezels, etc. Paul Gavin’s photos are always spectacular, and the ones included in this volume capture the essence of the Autavias. In the “People” category, the OnTheDash blog postings that drew the most traffic were the ones covering Mick Jagger and Bo Derek. No surprises here. 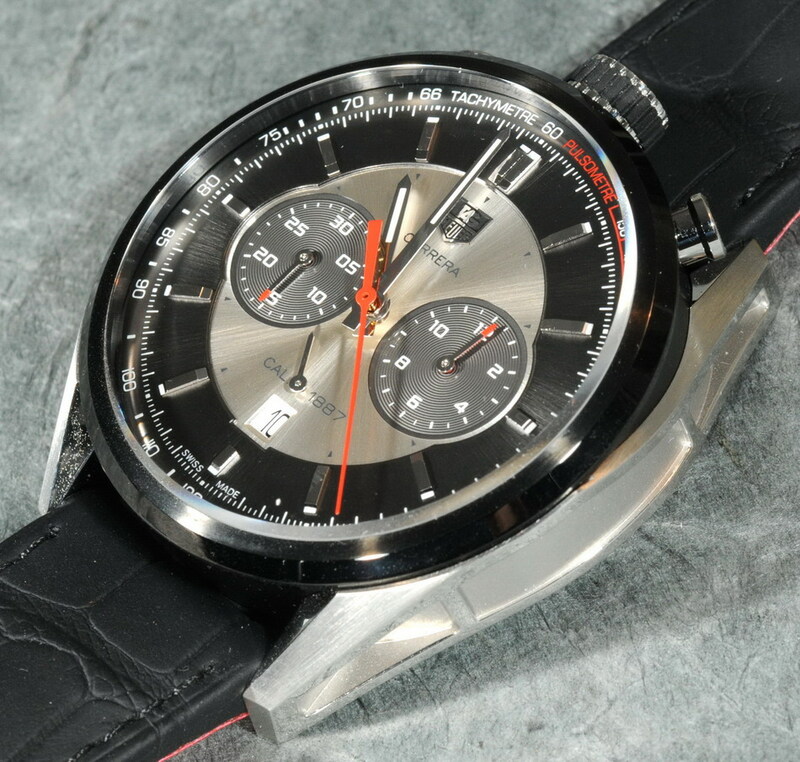 Among the postings dedicated to watches, our coverage of the Carrera Calibre 36 Flyback had the most views. And in case that wasn’t enough coverage of this ground-breaking new chronograph, I was also happy to be featured on a Hodinkee video covering the Carrera Calibre 36 Flyback. 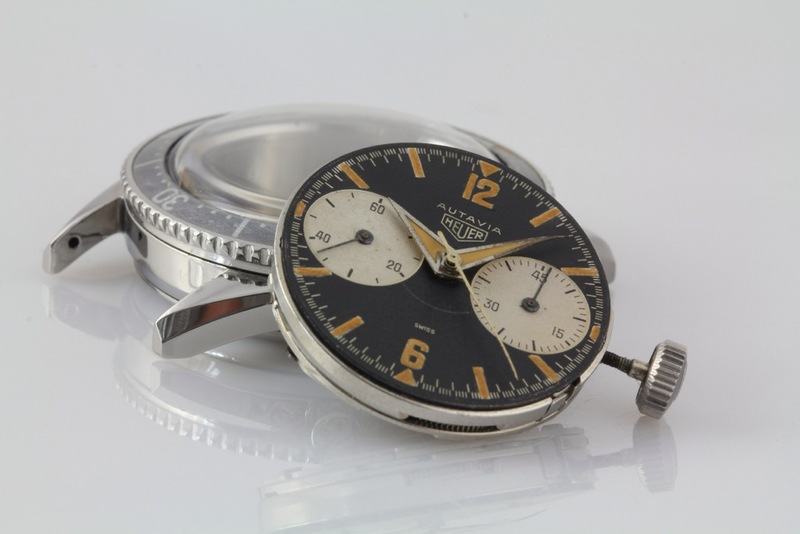 Eric Wind wrote a fantastic piece for Hodinkee covering the very early Carreras. This posting combines some very interesting history with some technical details to help authenticate the early Carreras. Another interesting 2013 Hodinkee posting focused on a gray Caliber 12 Monaco. Without a doubt, Hodinkee is the most influential watch journal — printed or online — and it’s great to see the steady stream of Heuer content. In 2013, Stewart Morley had a round 20 postings on his Heuerville blog, and they are uniformly excellent. 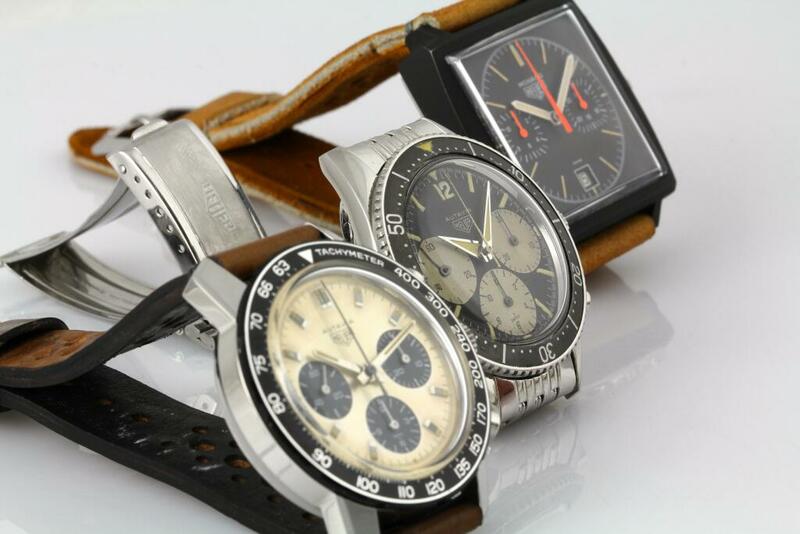 Heuerville covers vintage Heuer chronographs and dive watches, and other interesting vintage watches. Stewart’s photographs are beautiful and his watch reviews are always interesting. 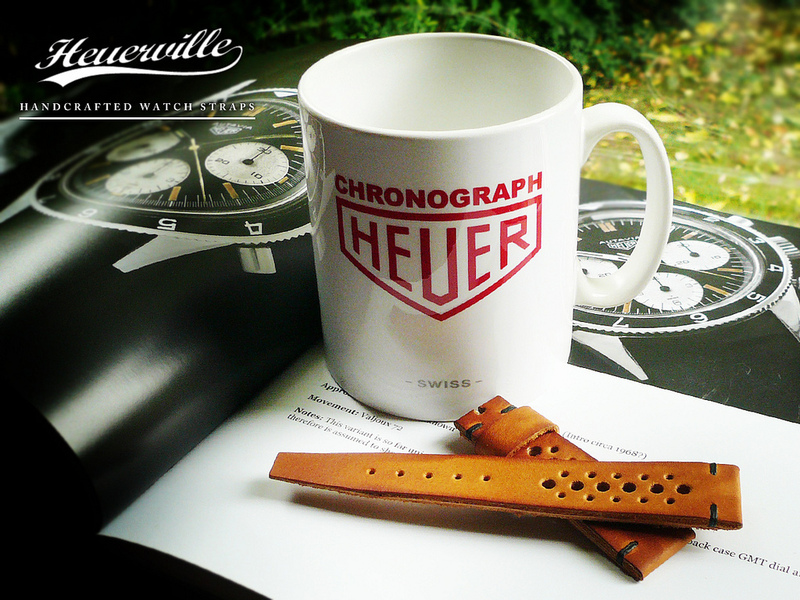 Stewart also took the initiative to host a contest on our discussion forum, giving away a Heuerville watch strap and a custom-made mug, and this contest attracted a lot of entries. Thanks for all this, Stewart!! 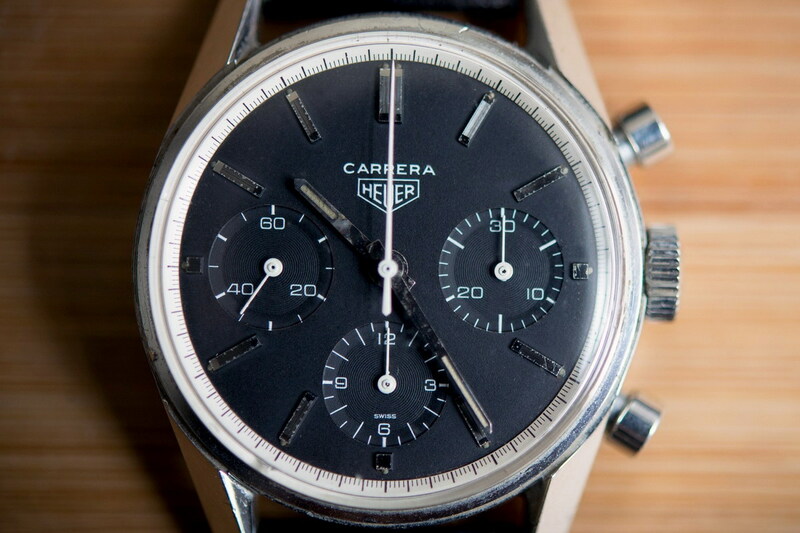 Mark Moss continued his “History of Heuer” postings, on Calibre11.com, with a posting covering the 1960s and another one covering the year 1969. We await your coverage of the 1970s . . . a daunting task, but we know that you can do it!! I wrote a couple of articles for print magazines during 2013. 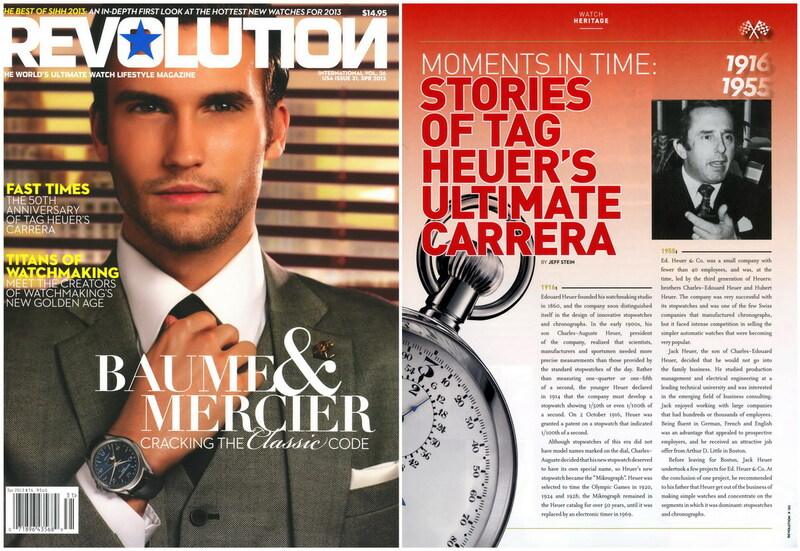 For the Spring 2013 issue of Revolution magazine, I provided a retrospective on 50 years of the Carrera, using key moments in the history of the Heuer company and the Carrera. People often ask me for advice about choosing a watch, such as “How do I decide which style is best for me?” or “Is it better to have a mechanical movement or a quartz movement?”, so I finally wrote an article to assist the beginner in selecting the perfect watch. 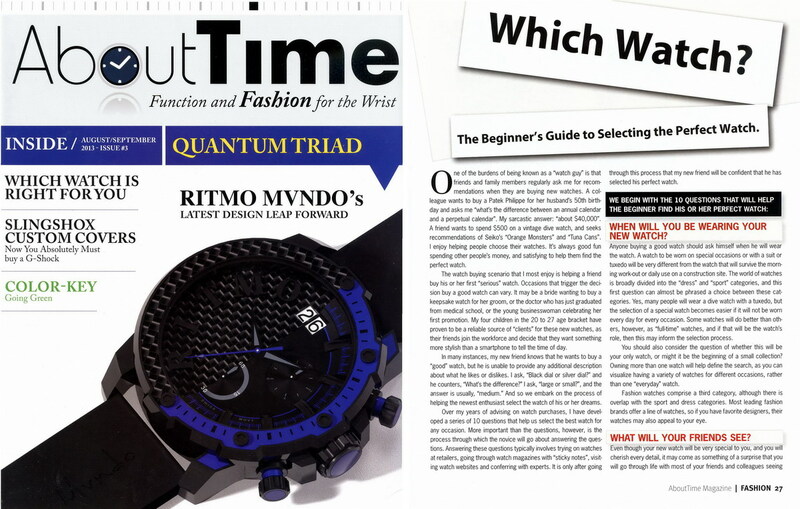 The article appeared in the August / September 2013 issue of About Time, and you can view a digital version here. Six or eight years ago, I was chatting with a friend who works in IT, and we concluded that within a period of a few years, there would be a range of “computers” and “communications devices” ranging in size from the desktop computer to something the size of a postage stamp. Users would be able to select the form factor they want, with the corresponding features. Well, it’s 2014 and this has become the reality. I believe that the same holds true for channels of communication about vintage watches – we still have some great print magazines with 5,000 word feature articles and beautiful photos, and we also have Twitter and Instagram, for the short bursts of text or quick images. Indeed there are social media channels to suit the needs and preferences of every collector. 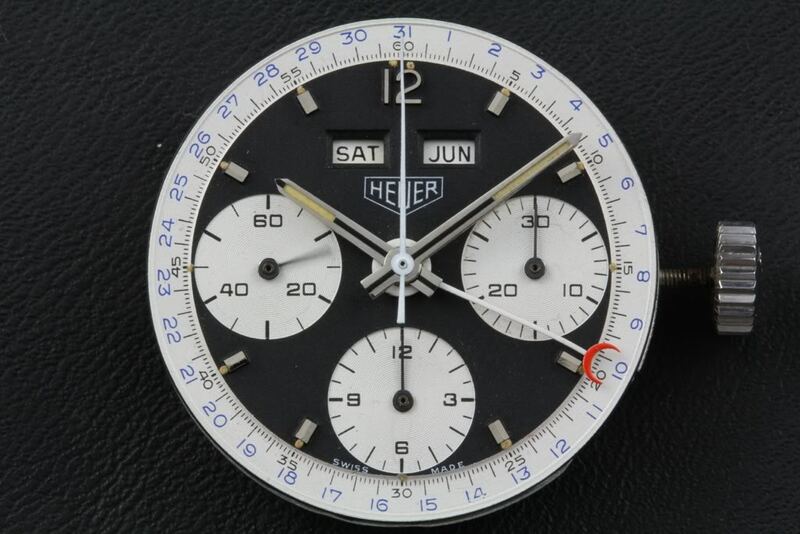 I have enjoyed Twitter every day for the last four years and believe that Twitter is a perfect channel for communicating about watch collecting, in general, and vintage Heuers, in particular. I have never been at a loss for something interesting to read, and have also found Twitter to be an effective way to get the word out when we have new content, interesting discussions or noteworthy photos. I remain indecisive (or downright confused) about the usefulness of Facebook, It is a terrible looking format, with way too much noise. For vintage Heuer collectors, the split between the International Vintage Heuer Owners Club and the Heuer Chronographs and Motorsports seems to create inefficiency and redundancy. If I have to post / share something three times, then I am more likely not to post it at all. Still, it seems that some Facebook presence is just about mandatory. Once upon a time, I liked Tumblr, but have been posting and visiting, less and less. There doesn’t seem to be a focused community of watch enthusiasts there. I never really liked Pinterest, but signed up and have posted a few images, from time to time. Seems to be another site that is strong for some communities, but not so much for the watch collectors. I signed up for Instagram a few days ago, and am really liking it. For the watch enthusiasts, it seems to be a quick way to share wrist-shots and head-shots, with some minimal commentary and explanations. Images are posted at a standard size (640 pixels by 640 pixels), and you can add effects to the photos, before they are posted. These effects range from subtle to dramatic, and there is no need to worry about reflections, so Instagram becomes a relaxing change from the ultra-realism that many of us try to achieve in our other photographic exploits. Thumbs up on Instagram!! 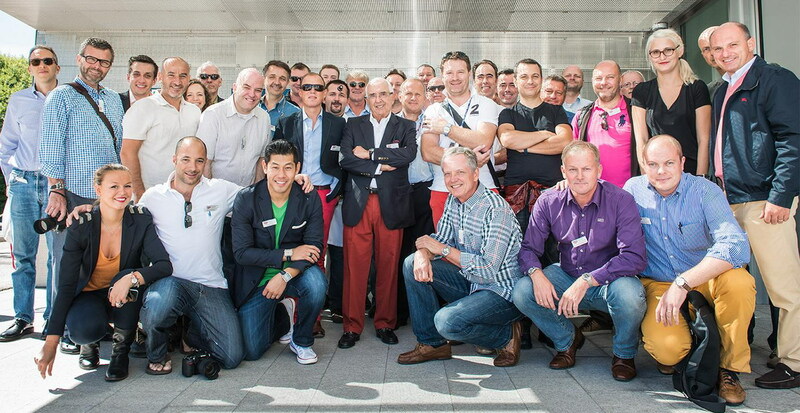 In September 2013, many members of our community traveled to La Chaux-de-Fonds for the amazing 2013 Summit. I was unable to participate in this event, but a few weeks later rode down my office elevator, and walked out the front door of my building and a few feet down the sidewalk for a wonderful lunch with a long-time “pen pal”, Lou S. Lou focuses his collecting on the vintage Zenith and Universal Geneve chronographs. When I offered to bring a few of my watches to our lunch, he suggested that I focus on the 1960s Carreras and Autavias, along with other dive and pilots watches that might be interesting. For a list of the watches packed in the briefcase for the “Lunch with Lou”, have a look at this posting on the Zenith Forum. It was good fun examining the watches that Lou had brought and also sharing my watches with him. Most striking among Lou’s watch were an 18 karat gold El Primero and a UG Tri-Compax in “Panda” colors. Perhaps the most interesting comparison of Lou’s Zeniths and my Heuer came in the automatic 18 karat gold models. OK, I’ll admit it — in terms of the style and design, Zenith won this competition, with the gold El Primero taking the gold medal. Of course, Jack Heuer had a pretty good watch up his sleeve, and showed the power of the Ferrari / Formula One connection. During 2013, I enjoyed participating in the vintage Zenith Forum, that is part of the Omage Forums. A really nice bunch of guys over there!! I bought relatively few watches in 2013. There are not many Heuers remaining on my “Wanted” list, and sticker shock on some models has left me on the sidelines. Favorite Heuers arriving in 2013 would include a Reference 2443 Abercrombie & Fitch chronograph and an Autavia in the “project” category. 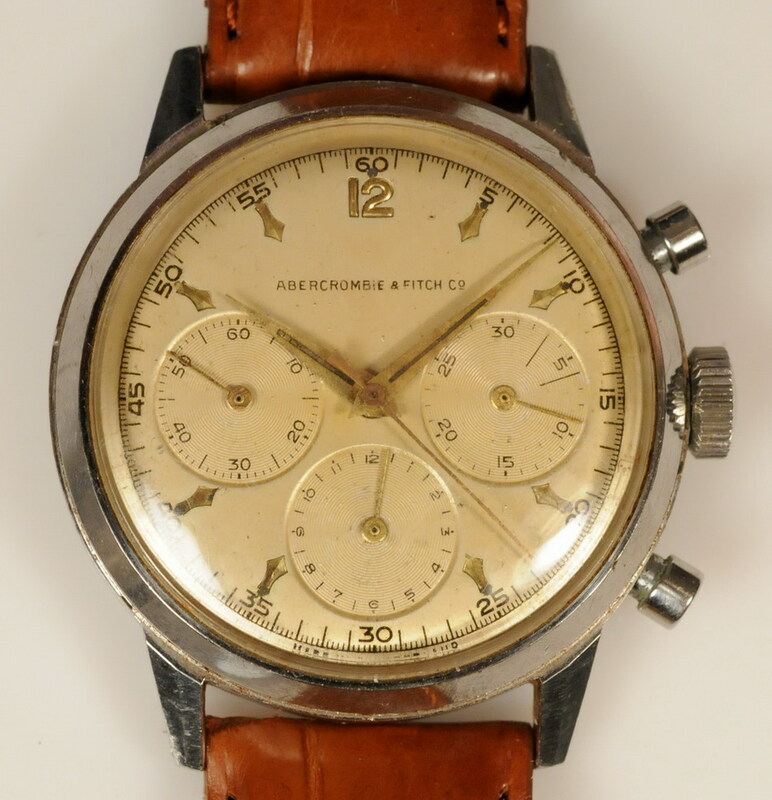 I love the Abercrombie chronographs in the super strong cases, and this Reference 2443 also happens to be a great looking watch. The Autavia is a bit of a flyer, but I am optimistic that with the correct hands and a new crystal, it will be a good looking watch. Preliminary reports on the condition of the movement are favorable. Looking at the new arrivals outside the Heuer category, I seem to be turning to some real “tool watches.” Favorites include a Vixa Type 20 flyback issued to the French air force, an Eterna Super KonTiki issued to by the Israel Defense Forces and a crazy looking Breitling Super Ocean. I bought the Vixa while working on a posting about the Carrera Calibre 36 Flyback, and it definitely meets my criteria of legibility and useful complications. I have been looking for an IDF issued KonTiki for a long time, but have always been afraid that I would be buying a civilian watch with markings added later. This one seemed authentic, and I have really enjoyed it. [Thanks, for the lead, Peter!!] The Super Ocean is a crazy looking chronograph, with its chronograph minute hand but no chronograph second hand, but I love the style of these 1960s Breitlings. The lines and finish of the cases are beautiful. It’s hard to believe, but this may have been the first year that I bought (or was given) almost as many modern watches as vintage watches. I am writing a posting covering a couple of the new arrivals, so I won’t identify them here. Of course, most of the new arrivals were TAG Heuer chronographs, but let me also provide a sneak preview of a brand that I discovered in December 2013 and am very enthusiastic about — Nomos. 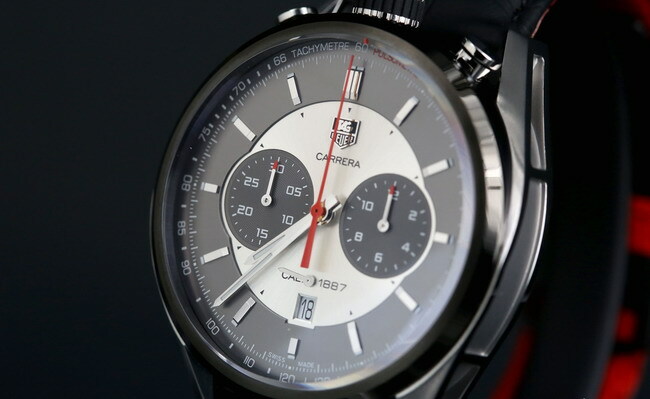 When I was in Geneva in January 2013, for the launch of the Fifty Years of Carrera celebration, I was smitten by the Jack Heuer 50th Anniversary Carrera. I love the Calibre 1887 movement, the “Jack Heuer” gray / black / red color scheme, and the stopwatch motif, and had decided that this would be one that I would buy when it became available in retail channels. Before I realized that the watch was in the market, I received a box from TAG Heuer Switzerland, wishing me a happy birthday (September 30) and thanking me for my support of the brand. Yes, I love everything about this watch, and will soon be writing more about it. What is most special about the watch, however, is the connection to Jack Heuer and my other TAG Heuer friends who I met in Geneva. The “virtual” friends can be fun — via e-mail, discussion forums and the occasional phone call — but it’s even better to share the watch collecting hobby with the local “watch guys”. 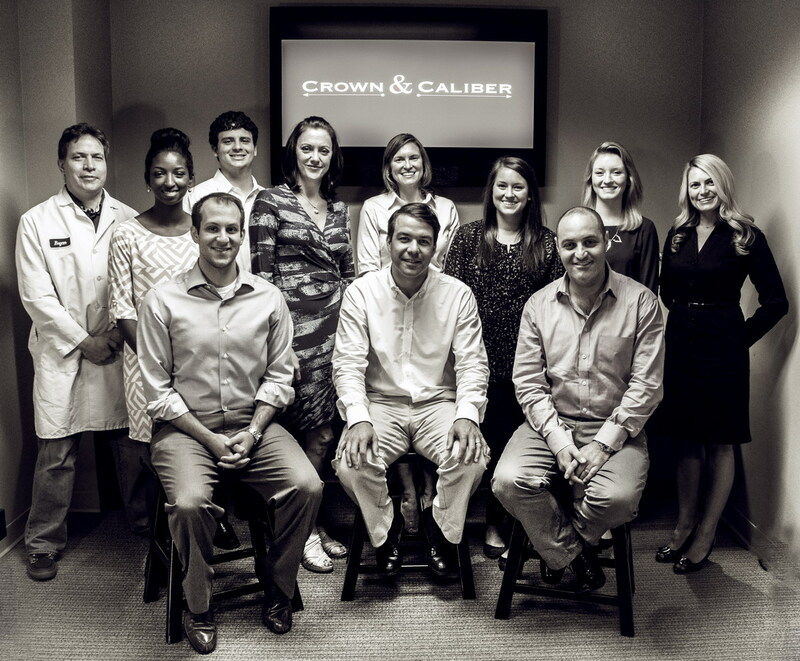 In early 2013, I met the folks at Crown and Caliber, a new Atlanta-based business providing consignment services to sellers of luxury watches. Crown and Caliber quickly became my favorite place to visit on the morning commute to the office, as the folks there are genuine “watch guys” and it’s always fun to pick through the trays in their vaults. I believe that Crown and Caliber has developed a very useful, effective business model, and that we will be following their success during 2014. I discovered another “watch guy” who resides along the route between home and office, Mike Stell. 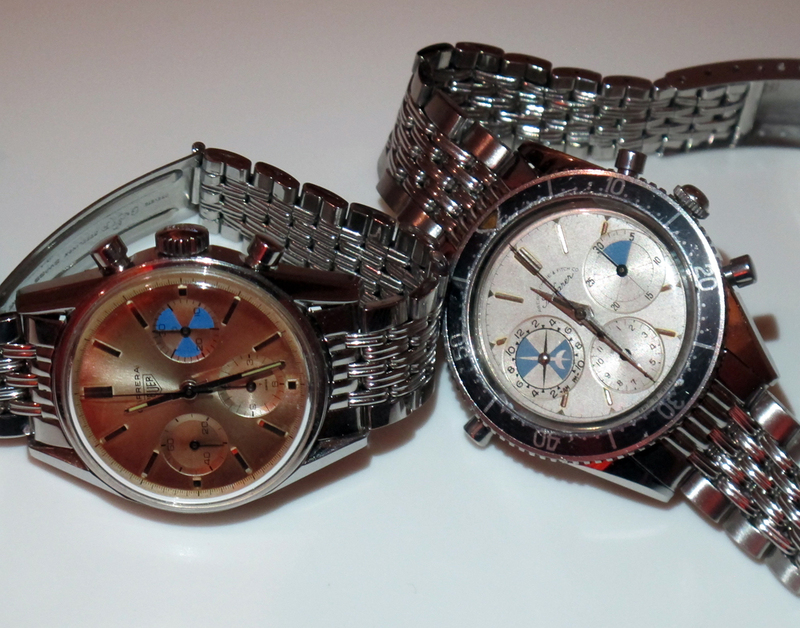 Mike only has one Heuer, but it’s not a bad one to have — a one owner Siffert Chronomatic (shown below, on the left). Here is an interesting posting from Mike, on our forum, with another view of his watch. Over the course of three telephone calls in October 2013, I interviewed a gentleman who told fascinating stories of his adventures (in 1972) and the Heuer chronograph that served as his reliable companion on those missions. Watch for the interview, hopefully soon. There were certainly some Autavias in the news during 2013. 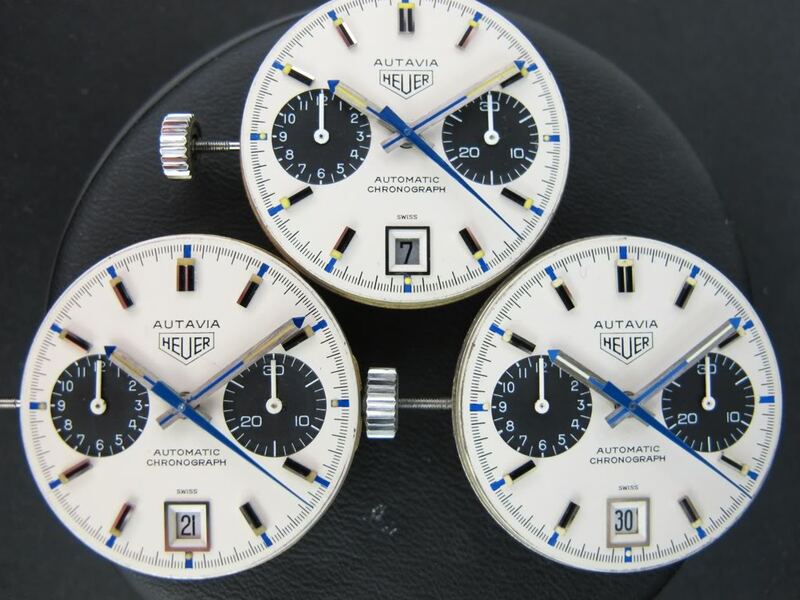 Probably the “most discussed” of all the Autavias was this early version of the two-register, screw-back Autavia, Reference 3646, which sold for $25,000 at a September 2013 Antiquorum auction. What made this especially noteworthy was that the very same watch had previously been sold at two other Antiquorum auctions, in 2009 and 2011, at $3,038 and $3,500, respectively. Have a look at our discussion forum thread, reviewing the sales and resales of this Autavia. If seeing Antiquorum sell this same Autavia for the third time in four years seemed somewhat unusual, what about one of our favorite collectors — Morgan King — deciding that he was so into the “Exotic” Caliber 15 Autavias that he needed to buy four of them. That’s right, of the dozen or so that we have seen over the years, Morgan has bagged four of them. Apart from Christie’s and Morgan making headlines, it’s good to see the 1960’s screw-back Autavias — both the first execution and second execution versions — getting the respect they deserve. 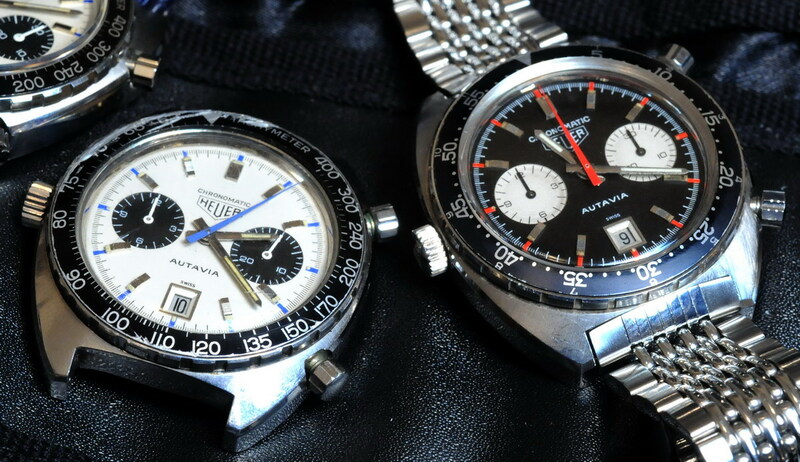 Put a nice second execution Autavia from 1967 next to your Rolex Daytona from the same year, and then explain to us why the Rolex fetches a multiple of the price of the Autavia. 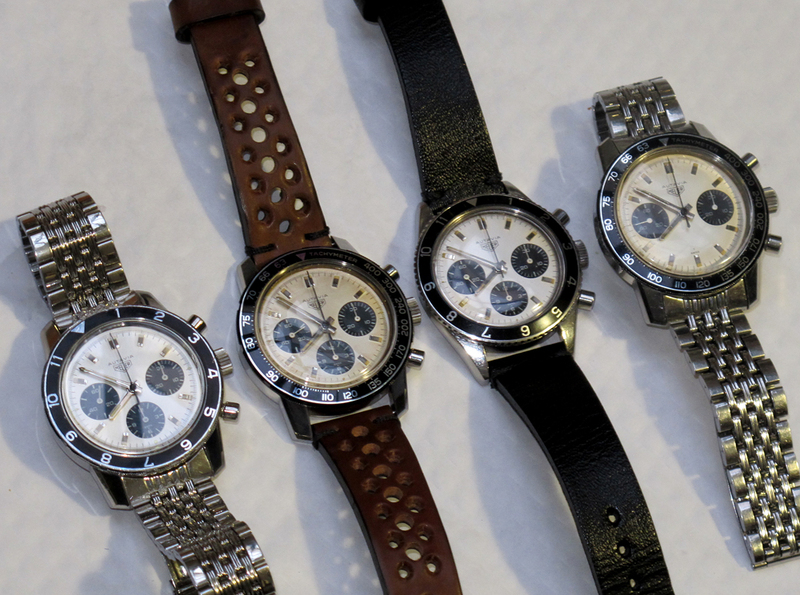 Yes, the Rolex is a Rolex, but the Autavia is the chronograph that the racers wore in the 1960s and 70s. It was good to see the Autavias attract more of a following during 2013. I enjoy it when we find two old chronographs with serial numbers so close that we can imagine that they were in the factory together, many years ago. 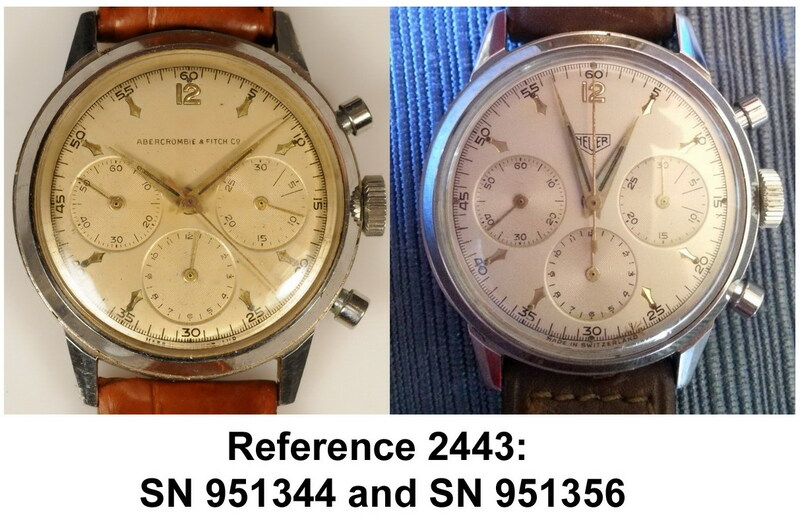 We had a couple of these reunions in 2013 — two Reference 2443 chronographs from the early 1950s separated by 12 serial numbers and two “Paintless” Monacos, a single serial number apart. Great to see these “reunions” in 2013. Our Favorite Day of the Week – Friday!! We had some amazing “Watch You Wearing?” Fridays during 2013 and are off to a good start on these, in 2014. OnTheDash Turned 10 – and Christie’s Watch Blog provided some nice coverage. Welcome to the World – new website HeuerChrono.com, covering the Heuer Skippers. — TAG Heuer Cal 1969 — TAG Heuer has introduced a new facility, to produce a new movement, that will power a new series of chronographs. I look forward to the new models and variations that we might see in 2014. — Lots of Other Stories There are lots of other projects, postings, articles, features, discussion topics and other items in the queue for 2014. I know that it’s going to be another fantastic year for TAG Heuer and the community that collects the vintage Heuers. 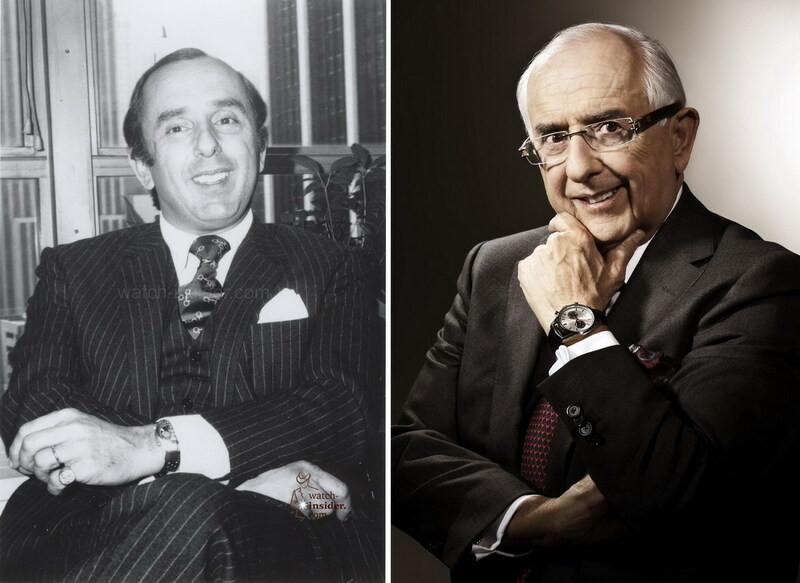 When they write the history of TAG Heuer, I suspect that the most important entry on the timeline for 2013 will not be about a watch, or a movement, or an event, but about the retirement of Jack Heuer. Jack Heuer joined the family business in 1958, and headed its operations beginning in 1962. His accomplishments at Heuer are too many to recount — designing the Carrera, quarterbacking the development of the Caliber 12 / Chronomatic movement, affixing the Heuer name to a racecar, and building the relationships with Siffert, McQueen and Ferrari. 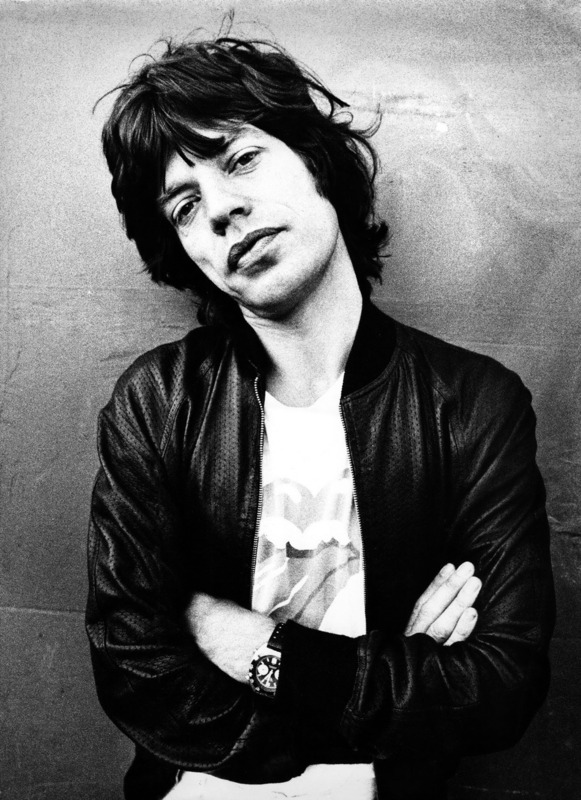 He left the company in the mid-1980s, but rejoined as Honorary Chairman of TAG Heuer in 2001. Jack Heuer traveled the world carrying the TAG Heuer flag for the next decade, and also had his hand in the design of several Carreras known as the “Jack Heuer” models. Beyond this role for TAG Heuer, Jack Heuer has been a fantastic supporter of the vintage Heuer community. Regardless of whether our questions were technical or general, and regardless of how often he may have answered the very same question, most queries were answered by overnight e-mail replies. In order to appreciate the power of Jack Heuer’s ability to recall historical details, just think back to the details of you life 10 or 20 years ago; then imagine what it must be like to try to recall events from 40 or 50 years ago. Yes, it is amazing that Jack Heuer has been able to fill in so many details of the company’s rich history. So we thank Jack Heuer for what he did in 1963 . . . and we thank Jack Heuer for what he did in 2013, and wish him the best of everything for a long, happy and healthy retirement.